Information taken from Parish Registers, School and census records. etc. If you find this article of interest or a help in your own research,or if you have anything to add, I would love to hear from you. Researched started by Barbara Bradley. Last update Jan 2019. William Jackson [the musician] was my great grandfather. The family lived at a flour mill in West Tanfield Yorkshire. I am currently reading “life of William of Masham” which has been loaned to me by a cousin. In the book it explains that pregnant ladies in the last few weeks of confinement went to live in Masham which explains why he wasn’t born at home and neither was my grandma Esther Jackson. There is a plaque in Ripon Cathedral about his music which I have seen . Barbara is also interested in seeing the clock mentioned by Roy Holloway . Letter [April 2018] from James Jackson of USA with information about George Jackson of Fearby who emigrated to Virginia. He would like more information about George born 1739 in Fearby. Can anyone help. Letter from Virginia Silvester. March 2018. I am contacting you about the references on the Grewelthorpe village website to Matthew Jackson. My interest arises from the marriage of my ancestor Thomas Wintersgill to Mary Jackson in Masham in 1755. Thomas and Mary spent most of their married life in Colsterdale, where Thomas farmed at Colsterdale Head. Mary’s age at death suggests she was born about 1729/1731. In 1798, Matthew Jackson of Swinton died aged 72. His will appointed Thomas Wintersgill as one of his executors and residuary legatee, and bequeathed legacies to the children of Thomas and Mary. Unfortunately, Matthew’s will did not specify his relationship to any of these people. It is very likely that Matthew was the son of Matthew Jackson baptised in Masham in 1725, and this is consistent with the naming in the will of his brothers Thomas (of North Leighton) and Peter (of Healey Cote), and his widowed sister Esther Graham. Esther died in Colsterdale later in 1798. Matthew does not appear to have had any children; in middle age, he married a widow with a son. His will also left a bequest to another Matthew Jackson, a saddler of Masham, no relationship specified. This must be the Matthew Jackson, saddler, who married in Masham in 1792, aged 26, who was baptised in Masham in 1765, the son of Thomas and Elizabeth Jackson of Swinton Mill. In theory, Mary could have been the sister of Matthew Jackson 1725-1798, as her probable birth date would fit with those of the other siblings. However, their baptisms are all recorded in the Masham parish registers while Mary’s is not. Matthew the father of Matthew Jackson farmed at Healey Cote and at Leighton in Masham, and died in 1769. The wills index shows that his will left a legacy to someone of the name Wintersgill, but frustratingly the will itself is missing from the archives. I would dearly love to know if any Jackson researcher had copied the will or made notes from it before its disappearance. 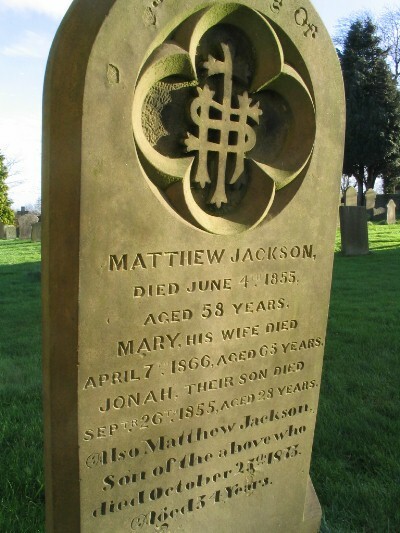 The Matthew Jackson who died in Grewelthorpe in 1830 was buried in Masham, aged 88. It is possible that he was the son of Thomas Jackson of Warthermarske, bap in Masham in 1744. There were rather a lot of Jacksons in Masham, so I can’t tell if these were definitely related to those I am interested in. However, I have recently been researching the Swinton estate rentals, and it is clear from these that a different Matthew Jackson from the one in Swinton was renting several farms from 1777 until 1801 when the rentals stop. The start date would fit with the date when the Matthew Jackson of Grewelthorpe married Ann Lodge; it seems to have been common for young farmers to take on a tenancy when they married. I note that Matthew Jackson of Grewelthorpe was living at The Hutts when he died. William Wintersgill, the youngest son of Thomas and Mary, lived for a time at The Reddings, which I believe is in the same area of Grewelthorpe; his 3 eldest children were born there, between 1790 and 1794. Later he returned to Colsterdale, eventually taking over the farm at Colsterdale Head from his father. I would be most grateful if you could put me in touch with anyone else interested in the multiple Matthew Jacksons living in this area! Letter from Michael Devaney. October 2017. I came across a reference to Matthew and Ann Jackson on the Grewelthorpe website. The question is asked: Do we know any more of Ann Jackson’s ancestry? Ann was related to my ancestor Francis Lodge. who inherited Hornby mill from her. I think Francis was her nephew. Ann left most of her estate to Matthew Wood, the son of her late husband’s half sister. Francis and his sister Elizabeth Potts obtained counsel’s opinion concerning the interpretation of Ann’s intentions as expressed in her will as regards property she did not specifically dispose of. An agreement was eventually reached between the parties – see below. Ann Lodge married Matthew Jackson in Masham on 11th April 1776. The marriage was witnessed by John Lodge and Thomas Lodge. Ann may well have been the the daughter of John Lodge of Ilton who was baptised on 28th February 1755.There is a record of the burial of a John Lodge on 10th May 1794 aged 87 in the registers for Kirby Malzeard. I have also found the burial in 1805 of Philis Lodge of Hutts, aged 85, in the parish of Kirby Malzeard. Was she the widow of John and the mother of Ann? I don’t have any more information and I wondered whether you or one of your readers might be able to help with my research. Endorsed: memoranda acknowledging further payments of £650 and £1400 by (1) to (2) in settlement of the balance of Ann Jackson’s personal estate, 16 January -7 August 1838. If anyone has any further information please contact the site. Thanks to Diane Johansen who sent the following information. August 2013. My 4 x great grandfather was John BELL who was born in Stokesley in 1760, to Francis BELL and Ann APPLEBY. He had two sons at Middleton on Leven around 1790 before taking over Hornby Mill near Great Smeaton. His one surviving son, James BELL, married Margaret STEPHENSON of Hornby and they had 6 children either at Hornby or Girsby. It would seem that, around 1827, James had returned to Hornby to take over as corn miller and farmer and I wonder at what point Matthew JACKSON of Masham became a creditor to him. James BELL late of Hornby near Northallerton, farmer and corn miller, was opposed by Mr BLANCHARD on behalf of Mr Matthew JACKSON of Hutts, near Masham, a creditor to the amount of 1300 pounds but there being nothing fraudulent in the conduct of the insolvent towards his creditors, he was ordered to be discharged forthwith. I was pleased to learn that James had not been sent to the Debtors’ Prison at York Castle but wondered what happened to the substantial debt! I then found mention of Matthew Jackson’s death in the York Herald for later that year.9th October 1830. ‘Death of Matthew JACKSON of The Hutts near Masham at a very advanced period of life.’ It would seem, from information on your website, that Matthew and his wife Ann have a headstone at Masham which tells of their great affection for one another. I also note that Matthew was a ‘Gentleman’. Naturally I am interested to know the next part of the story,as such a large debt could surely not have been repaid within the space of a few months. In order for Matthew to go to the trouble of taking out a summons against James, he must have been aware of his health and age and wanted to sort out his finances, and he must have been frustrated in his attempt to recoup his investment from James. The other thing that I would love to discover is why Matthew JACKSON was prepared to lend such an enormous sum of money to a miller and farmer? I wonder whether he or his wife Ann could have been related to the BELLs. Do we know any more of Ann JACKSON’s ancestry? Alternatively, family lore tells us of an ancestor who loved ‘wine, women and song’ who lost the family inheritance. I have always wondered whether this could have been James. His father, John, may have known nothing about the loan until it was too late, I suppose. John died in 1836 in Hornby. Perhaps James’ loan had a more interesting history. If anyone can add anything to this I should be delighted to try to follow it up. If you can add to this information, please contact the site from the link above. Thanks to Kimberley Jackson for information about the Jacksons from Kirklington. Kim would like to hear from other Jackson family researchers. Thanks to Barrie Sharples for information and photos re. the Jacksons of Hackfall Cottage & Farm Grewelthorpe. Information about William Jackson the musician of Masham taken from the book “The life of William Jackson” by J.Sutcliffe Smith 1926. Mr Ron Holloway sent the following message possibly about Wm. Jackson the musician. It’s a long story but I am in posession of a mantle clock with pendulum since about 1940. It has an inscription which reads:- Presented to Mr. ? Jackson by his friends residing in Bedale and the neighbourhood in token of their respect and esteem and their admiration of his talents as a composer of music. 11th. May 1852. If anyone is interested in this clock I would like it returned to the family / or interested parties. If I hear from anyone then I will provide all the information that I have on this matter. Yours sincerely Ron. Thanks to Vicki Jackson for the following. I hope my bit of information may help someone with their family history. My husband is John David Jackson his mother was Mary Ascough and her mother was a Boynton. cottage next to the pond, We believe he left the village at the age of 12yrs to go to the hiring fair at Masham, where he was hired by a farmer who treated him very well. This farm was between Grewelthorpe and Ripon Some years later he moved with his first wife to Manchester where he became a tenent of one of Lord or Earl Wiltons farms in Blackley, at that time very rural. When his wife died he sent for a second wife from Nosterfields (we think she was a cousin) Her name Dora Jane Boynton, they had 2 sons and one daughter John and Charles Stanley And Clara. Charles is my late father in law. He died 10years ago aged 89yrs. He also had a family with his 1st wife. Charles married Mary Ascough from Leeds, although the family had connections with Grewelthorpe and West Tanfield. Her grandad or Great grandad had the Bull Pub in Tanfield. William Jackson is a great great ???? grandad he had the Kings Head Pub in Grewelthorpe. We have a copy of his will he made in 1838. Charles used to love going back to the village, we took him many times over the years, IJthink it’s time we paid a visit. The Jackson name in our little branch will finish as we had daughters Jane and Andrea both married with familys of their own. Hope this has been of interest to the Jacksons out there! Thanks for Another message from Vicki Jackson, received July 2013. Comment: Hi fellow researchers, I have some information on the Jacksons of Grewelthorpe which was taken from Northallerton records office if any Jacksons want to contact me, I will see if I can assist at all. I thought I would just give people out there a huge spelling/transcription error for people who moved out of Grewelthorpe, in the 1800’s a few census forms state Gruelthorpe and have been translated as Trusthorpe!! hope this helps. Letter from Roy Jackson June 2013. Re. William Jackson born 1758 Ilton son of Thomas. Thomas was born in apt 1719 died 1800 in Masham I am unable to trace where he was born. p s I am related to vicki who has a letter on the web site. Thanks to Carole Dunkley for information about Annie Maria Jackson & family. Letter from Mathiew Leader in Jan. 2012. Perhaps there is someone out there who can help him with his research. “I’m Mathieu Edwin Leader age 19 of Northwich Cheshire. I was wondering if you could help me in research. Also there are rumours of my Jackson family being inter-related to the Meadow clan and is rumoured also to be related to Elsie Jackson a famous singer. If these names are not familliar could you forward these names onto any other Jacksons who know these names. Letter from Heather Hunwick. Sent March 2012. Seeking information about the earlier family of Christopher Jackson & Ellen Grange. I believe my Grandfather Christopher [b1827] at the age of 19yrs came out to New Zealand with his older brother Joseph to check it out first before the family emigrated here but not sure if all the children came with them. Joseph later went to live in Australia. Letter August 2014. from Robyn Norris about Elizabeth Ellen Jackson & Thomas Gedge. Email: robynnorris@xtra.co.nz, On my gedge tree Thomas Stephen Gedge married Elizabeth Ellen Jackson. I noticed them on your tree and am after more info and contact with descendants. I started a facebook group called descendents of stephen and eliza gedge who came to new zealand for all of relations to join. I don’t have any info on this couple and hope you may help. thankyou robyn Norris. If you can help Robyn please contact her on the above email address, or contact the site. Letter from Evonne Hodgson October 2014. JOSEPH LISTER JACKSON. Born 1899 Fingall. Died 1982. Middlesborough. Son of John & Jane Eliz. Ake. Married 1920 to Mary Jane Batty. I believe him to be my Grand father but know little about him as he left the family home when my father Colin Jackson was very young, but know he served in the First World War which is of interest as both my father and husband have military connections. Do you know of anyone that may have more information of him ? If you can help Evonne please contact the site. ADA JACKSON. Born C 1875. Middlesboro. Dau of Jonah & Anabella. Living Ilkley 1891. 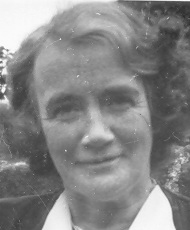 AGNES JACKSON. Born C. 1844. Dau of Jonah & Elizabeth. ALBERT H. JACKSON. Born C. 1879. Ilkley. Son of Jonah & Anabella. Living Ilkley 1891. This is likely to be the BERT JACKSON who was the coachman / groom for the Dalton family at The Hutts Grewelthorpe. Bert died 24.4.1948. Married Catherine May Brown. See Obit. at end. ALICE JACKSON. Born C. 1879. Driffield. Wife of Fred the woodman. In Ripon 1901. ALICE MARY JACKSON. Born C.1891 Scotton. Died 17.11.1970. Kirkby Malzeard. Dau of John & Jane Eliz. Ake. 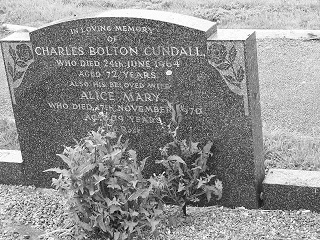 Married 1920 to Charles Bolton Cundall. He died 24.6.1964. age 72. 2 children Irene 1921 & Florrie 1925. Grave stone of Alice & Charles. ALICE MAY JACKSON. Born 14.11.1900. Dau of Fred [Woodman] & Alice. Started school 8.1.1906. Family moved to Northallerton in Sept. 1906. ALFRED JACKSON. Bap. 29.1.1858 Kirkby Malzeard. Son of Thomas & Ann. ALFRED JACKSON. Born 1901 Fingall. Son of John [Farmer] & Jane Ann Wrather. AMELIA JACKSON. Bap. 25.6.1874. Dau of John & Mary. Mowbray Hall. Farmer. AMY JACKSON. Born 16.7.1865. Dau. Of Maria. Started school 20.11.1876. Left 1878. Grand dau of Robert & Mary Coldbeck. ANN JACKSON. Born C. 1774. Lived Grewelthorpe. Buried 25.1.1841 Grewelthorpe. Wife of William. Yesterday week at Grewelthorpe age 67, Ann, relict of the late Mr Wm. JACKSON. ANN JACKSON. Bap. 18.6.1786 Grewelthorpe. Dau of Thomas. ANNE JACKSON. Bap. 8.3.1791 Grewelthorpe. Buried 5.11.1791 Grewelthorpe. Dau of William of Hackfall, Grewelthorpe. ANN JACKSON. Born c. 1796. Dishforth. Wife of John of Mowbray House. ANN JACKSON. Born C. 1815. Lived Mickley. Buried 14.8.1840 Kirkby Malzeard. ANN JACKSON. Born C. 1817 Grewelthorpe. Died 1891 Bramley. Dau of Thomas[ the saddler.] & Margery Atkinson. of Killinghall. Married widower John Ingleby. Carpenter on 20.3.1838. Moved to Leeds. Had a daughter Maria Ingleby. ANN JACKSON [nee RIPLEY.] Born Jan 1818 West Witton. Died Carthorpe after 1901. Wife of George of Kirklington. Dau of Christopher Ripley & Ann. ANN JACKSON [nee Beckwith]. Born C.1825. Dau of Christopher Beckwith. [see Beckwith page] Married Thomas Jackson of Kirkby Malzeard. ANN JACKSON. Dau of Matthew the Innkeeper, Lived Grewelthorpe. Married on 21.6.1856 at Kirkby Malzeard to George Corner. of Middlesboro. Son of James Corner. Innkeeper. ANN JACKSON. Born C.1836 Knayton. 2nd wife of William born 1800. lived Hackfall Cottage. ANNIE JACKSON. Born April 1846. Kirklington. Dau of George Jackson & Ann Ripley. Married George Weighell. 1870 in Ripon. ANN ELIZABETH JACKSON. Bap. 12.8.1849 Kirkby Malzeard. Dau of John & Ann of Azerley. ANN JACKSON. Bap. 9.6.1850 Kirkby Malzeard. Dau of Thomas & Ellen of Galphay. ANN JACKSON. Born 1861. dau of Christopher & Ellen Grange. married In 1882 to John William Dobby. ANNIE JACKSON. Born C. 1868. Darlington. Died Feb. 1937 The Grange, Kirkby Malzeard. see obit at end. ANNIE JACKSON. Born 5.7.1870. Bap. 7.8.1870. Dau of William the joiner & Nancy. of Hackfall Cottage. Grand dau of Joseph the joiner. Started school 13.11.1876.Left school 1882. Servant in Dorking Surrey in 1891. ANNIE MARIA JACKSON. Born 1885 Scotton. Died 1955. Dau of John & Jane Eliz. Ake. Married 1909 Richard Percy Willis. Had 8 children Elsie May 1910/1944. Albert Henry 1911/1982. Alice Maria 1913/ 1943. Amy Gladys Muriel b.1915. 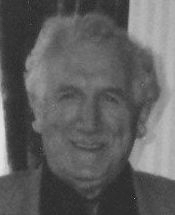 Harold Victor 1919/2001. Agnes Letitia b.1921. Richard Lawrence b1925. Maurice Edward b1928/2010. ANNIE JACKSON. Born 4 Sept. 1900. A widow living in Laverton in 1939. ANNIE ELIZA JACKSON. Bap. 15.3.1908. Dau of Arthur & Mary Elizabeth. Quarryman. ANTHONY JACKSON. Born 1861 Yorkshire. Died 1940. Married Mary Ann Tomkins. on 2.5.1882 in Worcestershire. Son of George Jackson & Ann Ripley. of Kirklington. ARNOLD LESLIE JACKSON. Bap. 12.12.1920. Fearby. Died 2010. Son of Joseph Lister & Mary Jane Batty. Married Elizabeth Rebecca Casson. 1921-1987. see photo at end. BELLA JACKSON. Born C.1835. Kirkby Malzeard. Dau of Margery. BERTHA JACKSON. Born 5 Nov.1884. Burneston. Buried Mickley 8.8.1958. Dau of Charles & Faith Merrall. Unmarried poultry farmer in 1939 living Little Westfield Galphay. with Violet Merrall. Born 1868. BERTHA JACKSON. Born 5.11.1894. Dau of Charles. Came from Burneston to start Grewelthorpe school 23.5.1893.Left 1897. BETSY JACKSON. Bap. 9.1.1853 Kirkby Malzeard. Dau of Thomas [The Innkeeper] & Ann Beckwith. Married on 13.6.1876 in Kirby Malzeard church to John William Whitley. a mechanic from Otley. [b.1854] son of Thomas Whitley. a Mason. CATHERINE MAY JACKSON nee Brown. Born 1889. Died 1965. Wife of Bert Jackson (Thomas Herbert) married 23.5.1914. CHARLES JACKSON. Born C.1812. Died 8.4.1882. Buried 12.4.1882. M.I. Son of William. Married on 4.7.1840 to Mary Richmond. dau of John of Kirkby Malzeard. Charles was Hackfall guide in 1871. CHARLES JACKSON. Bap. 4.4.1852. Son of Charles & Mary. CHARLES JACKSON. Bap. 3.12.1854 Kirkby Malzeard. Son of Thomas & Ann Beckwith. CHARLES JACKSON. Born C.1856 Kirklington. Buried Mickley 18.2.1925. Son of George Jackson & Ann Ripley. Husband of  Faith Merrall. of Burneston. Married in 1893 at Bedale. Wife  Mary Elizabeth. Lived Fingerfield Grewelthorpe in 1901. Farmer. Living Westfield, Grewelthorpe when he died. CHARLES ELLIS JACKSON. Died as infant. Buried 23.8.1862. CHARLES EDWIN JACKSON. Born 16 May 1886 Scotton. Died 20 Oct.1954 in Concord Repatriation General Hospital in Australia. d. Son of John & Jane Eliz. Ake. Emigrated to Australia. Motor Mechanic. 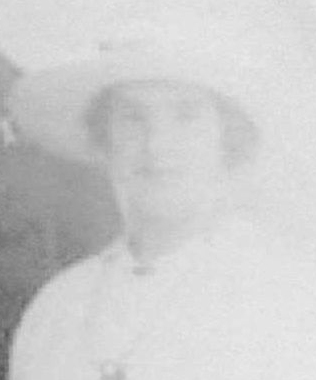 Married Madeline Collins in 1916. [Thanks to B.Sharples for this data]. CHARLES STANLEY JACKSON. Born C 1911. Died 2000. Son of John & Dora Jane Boynton. Married Mary Ascough. of Leeds. CHARLES EDWARD JACKSON. Born 1934 Died 1954. Son of Joseph Lister & Mary Jane Batty. He died in Harrogate Hospital as a result of a motorcycle accident on West Tanfield bridge. Buried St. Pauls, Healey. Masham. CHRISTOPHER JACKSON. Bap. 7.8.1778 Grewelthorpe. Son of Thomas. CHRISTOPHER JACKSON. Born 1827. Died 1915. Son of Christopher & Ann Middleton.. In 1857 Married Ellen Grange. she Died in New Zealand in 1928. Emigrated to NZ in 1888. CHRISTOPHER EDWARD JACKSON. Bap. 21.11.1852 Kirkby Malzeard. Son of Thomas & Ellen of Bull Ings. CHRISTOPHER JACKSON. Born 1867. Son of & Ellen Grange. Married in 1894 to Ada Pepper. CHRISTOPHER JACKSON. Born C.1881 Pateley Bridge. Son of Joseph & Ann Lofthouse. of Kexmoor. CLARENCE JOHN JACKSON. Bap.11.5.1892. Died New Zealand 1994. Son of William & Jane. William a Cab Proprietor. Had a brother William. Clarence ran away from home at the age of around 15, went to sea as a cabin boy and ended up living for the rest of his life in the province of Nelson in the South Island of NZ. He served in the NZ forces during the First World War and was invalided back to NZ and discharged in 1917 because of the severity of his injuries. He married in 1918 and had 12 children. Thanks to Helen Yuill for this information. COLIN JACKSON. Born 1943. Died 2006. Son of Joseph Lister & Mary Jane Batty. DAVID JACKSON. Bap 29.1.1792 Grewelthorpe. Buried 4.3.1792 Grewelthorpe. Son of David of Ellershaw. DOROTHY JACKSON. Born C. 1817 Buried 2.6.1894.Tanfield. Wife of William the house painter. EDITH HILL. Born C.1862. Halifax. Grand dau of Charles & Mary Jackson. Presumably her mother was a Jackson. EDWARD JACKSON. Born 1895. Son of John & Jane Eliz. Ake. ELIZABETH JACKSON. Bap. 24.2.1605 Ripon Cathedral. Dau of Thomas of Fountaines. ELIZABETH JACKSON. Born C. 1779. Lived Galphay. Buried 2.6.1836 Kirkby Malzeard. ELIZABETH JACKSON. Born C. 1799 at Masham. Wife of George of Roomer. Ag.Lab. Lived Masham 1851. ELIZABETH JACKSON. Born C. 1817.Ilton. Wife of Jonah. ELIZABETH JACKSON. Born 16.1.1822 Bedale. Died 5.7.1891 Grewelthorpe. Dau of Matthew [The Publican]& Mary. Sister of William, Jonah & Matthew. Married in 1849 to George Leathley. [see Leathley page]. In 1851 was a milliner. In 1891 ran Grewelthorpe post office with her husband. Had 9 children. ELIZABETH JACKSON. Bap. 25.8.1845.Kirkby Malzeard. Illeg. dau of Elizabeth of Spring Hall. Grand dau of Margery. Straw Bonnet maker in 1861. ELIZABETH JACKSON. Born 1858 Kirklington. Dau of George Jackson & Ann Ripley. ELIZABETH ELLEN JACKSON. Born 1869. Pateley Bridge. Dau of Christopher & Ellen Grange. Married Thomas Gedge. ELIZABETH JACKSON. Born C. 1879 Pateley Bridge. Dau of Joseph & Ann Lofthouse. of Kexmoor. ELIZABETH JACKSON. Born 14.2.1918.Buried 7.6.1968. M.I. Wife of William. ELLEN JACKSON. Born C. 1847.Grewelthorpe. A servant in West Tanfield in 1891. ELSIE JACKSON. Born 1.12.1909. Bap. 16.1.1910. Dau of Herbert & Elsie May. of Hutts Cottages. Started school 3.4.1916. Left 1924. Father a Coachman. EMILY JACKSON. Bap 4.7.1858. Died 5.10.1944. Dau of Charles & Mary. A servant in West Tanfield in 1891. See Photo of grave at end. ENOS JACKSON. Born 28.8.1882. Son of Charles. Came from Burneston to start at Grewelthorpe school 23.5.1893. Left 1895. ESTHER JACKSON. Buried 13.1.1792 Grewelthorpe. Dau of William of Hackfall. ESTHER JACKSON. Married on 9.5.1799 at Kirkby Malzeard to John Wood. a Husbandman. ESTHER JACKSON. Born C. 1850. Bap. 4.4.1852. Dau of Charles & Mary. EVA CAROLINE. Born 1893 Fingall. Dau of John [Farmer] & Jane Ann Wrather. FAITH JACKSON [Nee Merrall]. Born C.1864. Burneston. Buried Mickley 26.10.1910. Wife of Charles the farmer of Westfield Mickley. FANNY JACKSON. Born C.1851 Masham. Dau of William [the Musician] & Mary Coultman. Living Bradford 1861. FLORENCE MARIE JACKSON. Born 1888 London. Died 1978 Doncaster. Dau of Frederick Beckwith Jackson & M.A.Cuddeford. Married Frederick Henry Harris. [b.1885-1923]. FLORENCE VIOLET JACKSON. Born C 1900. Dau of Fred [Woodman] & Alice. Sister of Alice May. Married Leonard Wells. FRANCES JACKSON. Born C. 1843. Dau of Charles & Mary. FRANCIS JACKSON. Born C1853 Kirklington. Son of George Jackson & Ann Ripley. FRED BECKWITH JACKSON. Bap. 30.8.1859 Kirkby Malzeard. Son of Thomas & Ann Beckwith. Married Marie Annie Cuddeford. [b.1857]. FRED JACKSON. Born 9.6.1877. Son of Henry. Started school 17.4.1882. Living West Witton in 1891. A woodcutter. FRED JACKSON. Born C. 1877. Grewelthorpe. Son of William & Martha. Husband of Alice from Driffield. Living Bondgate Ripon in 1901. A woodyard labourer. FREDERICK [FRED] JACKSON. Born 1889 Scotton. Died July 1951. Son of John & Jane Eliz. Ake. FRED JACKSON. Born C.1893. Sharow. Son of William & Mary. Lived Ripon 1901. FRED JACKSON. Born 1887. Killed in WW1 and remembered on Healey War memorial. see report and picture under John James Jackson. at bottom of this page. Son of John & Jane Ann Wrather. GEORGE JACKSON. Born 24 March 1739 Fearby. Died C1794 Williamsburg Virginia USA. Son of George. Married Nancy Pate. 22 April 1762. USA. They had 13 children. Thanks to James Jackson for this data. GEORGE JACKSON. Born C. 1795 at Roomer near Grewelthorpe, Ag.Lab. Husband of Elizabeth of Masham. Lived Market Place, Masham in 1851. GEORGE JACKSON. Born May 1821 Kirklington. Died C1893 Carthorpe Bedale. Son of William Jackson & Anne. Husband of Ann Ripley. GEORGE JACKSON. Born C1851 Kirklington. Son of George Jackson & Ann Ripley. GEORGE JACKSON. Bap. 31.3.1860 Kirkby Malzeard. Son of Thomas & Ellen of Bull Ings. HANNAH JACKSON. Born C. 1793 Cottingworth. Died 10.3.1863. Buried 14.3.1863.M.I. M.I. Wife of William of Hackfall House. HARRIET AMY JACKSON. Born 1894 Scotton. Died 1965. Dau of John & Jane Elizabeth Ake. Married in 1923 at Healey to George Edwin Hammond. of Hackfall Farm, Grewelthorpe. [See Hammond page]. HARRY JACKSON. Born 13 August 1920. Son of Thomas & Ada. Apprentice motor mechanic in 1939. HENRY JACKSON. Born C. 1845. Lofthouse. Joiner & Grocer. Husband of Margaret Lofthouse. In 1901 living Home Farm Cottage, Galphay. HENRY JACKSON. Born C1845. Died Feb 1904 Azerley. Joiner. Report in Yorkshire Gazette Feb 1904. HENRY JACKSON. Born C. 1864. Sawley. Son of William the joiner & Nancy. Report in York Herald May 1890. Workman’s Annual Trip. The workmen in company with their employers Messrs Horsley & Sons. Gun & Rifle manufacturers. Travelled on the train via Church Fenton to Ripon, where Mr H. Jackson of Grewelthorpe was waiting with 3 conveyances to take them to Studley Royal. 2 hour were spent there and thence the party were driven to Hackfall House , Grewelthorpe where Mr George Gill had a most substantial dinner ready for them. The afternoon was spent in the woods and York was reached at 8-30p.m. HENRY JACKSON. Born 1871 Son of Christopher Ellen Grange. Died in New Zealand. in 1910 unmarried. HERBERT JACKSON. Born C. 1880 Ramsgill. A Coachman. Married Elsie May. Widower in 1911 with 2 children. Living Hutts Cottage. Grewelthorpe. ISABEL JACKSON. Born C. 1884.Ilkley Dau of Jonah & Anabella. Living Ilkley 1891. ISABELLA JACKSON. Born C.1869 Grewelthorpe. Described as an idiot, an inmate in Ripon District Workhouse. 1891. ISABELLA JACKSON. Born C.1869 at Well. Servant in Masham in 1891. JAMES JACKSON . Born C. 1860 Pateley Bridge. Son of John [Bobbin Turner] & Elizabeth. JAMES JACKSON. Born C. 1882 Scotton. Died 1930. Son of John & Jane Eliz. Ake. married 1919 to Annie Batty. Annie Batty 1900 – 1989. and James Jackson 1882-1930. JANE JACKSON. Born C. 1808 Mickley. Buried 21.7.1871. Wife of Joseph. JANE JACKSON. Born C. 1820. Buried 13.2.1847 Grewelthorpe age 27. JANE ELLEN JACKSON. Bap. 19.3.1847 Kirkby Malzeard. Died 7.12.1926.M.I.Dau of Charles & Mary of Grewelthorpe. Grand dau of Margery. see photo of grave at end. JANE JACKSON. Bap. 26.12.1847 Kirkby Malzeard. Dau of Thomas & Ellen of Galphay. JANE JACKSON. Bap. 4.1.1851 Kirkby Malzeard. Illeg dau. of Maria of Grewelthorpe. JANE JACKSON. Born 1863. Dau of Christopher & Ellen Grange. 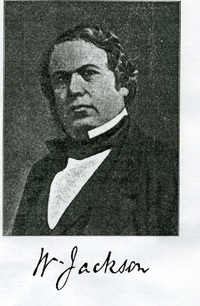 married James Close. JANE JACKSON. Born 2.4.1887. Dau of William. Started school 13.7.1892. Left 1899. JANE HANNAH JACKSON. Born C.1888 Grewelthorpe. Dau of Joseph [the woodman] & Martha Moore.. 1911 helping with housework in parents house in Grewelthorpe. Unmarried. JESSIE JACKSON. Born C. 1890. Ilkley. Dau of Jonah & Anabella. Living Ilkley 1891. JOHN JACKSON. Miller at West Tanfield. Father of William the musician, organist at Masham. Also had a son John who wrote a book on fly fishing. John was bellringer, chorister & fife player in Masham Volunteers. His Father had been lead singer in Masham Church. JOHN JACKSON. Born C.1793. Lived Mowbray House. Farmer.Husband of Ann. JOHN JACKSON. Born C1800 Masham. Poss. Bap. 1801. Butcher on Silver Street, Masham. Son of John Jackson the farmer & Jane. JOHN JACKSON. Was a game keeper at Azerley in 1856/7. According to a local newspaper he was almost killed when a poacher took a shot at him in Novemebr 1856. but the gun failed to discharge. JOHN JACKSON. Born C. 1835 Pateley Bridge. A Bobbin Turner. Married Elizabeth of Pateley Bridge.[b.1838]. Lived Winksley 1861. JOHN JACKSON. Born C. 1836. Carlsmoor. Son of John & Ann. JOHN JACKSON. Born C. 1842. Buried 2.2.1860. Son of Joseph & Jane. JOHN JACKSON. Bap. 6.11.1846.Grewelthorpe. Recorded in Kirkby Malzeard Parish Reg. Son of Jonah & Elizabeth of Grewelthorpe. JOHN JACKSON. Born 1854. Bellerby. Died Oct. 1915. Married June 7th 1882 Fingall to Jane Elizabeth Ake. b.C1860 Marrick. Lived Hackfall Farm. Jane Elizabeth Ake. 1860-1932 & John Jackson 1854-1915. JOHN JACKSON. Bap. 15.6.1856 Kirkby Malzeard. Son of Thomas & Ann Beckwith. JOHN HENRY JACKSON. Born C. 1857 Bradford. Son of William [The Musician] & Mary Coultman. JOHN JACKSON. Bap. 17.1.1858 Kirkby Malzeard. Son of Thomas & Ellen of Bull Ings. JOHN WILLIAM JACKSON. Born C. 1858 Pateley Bridge. Son of John [The Bobbin Turner] & Elizabeth. Living Winksley 1861. JOHN JACKSON. Born 1866. Bap. 28.10.1866. Son of William the joiner & Nancy. Started school 13.11.1876. Left school 1880. JOHN JACKSON. Born C. 1867 Grewelthorpe. Son of William & Martha. JOHN JACKSON. Born C. 1871 Grewelthorpe. Lived in a cottage near the pond. Went to Masham hirings when he was 12 [C1883] and went to a farm nearby. Moved to Manchester with wife . when she died he married  Dora Jane Boynton. They had 2 sons, John & Charles Stanley and 1 dau. Clara. JOHN THOMAS JACKSON. Born 8.8.1867. Bap.15.9.1867. Son of William & Ann of Hackfall Cottage. Started school 13.11.1876. Left school 1881. Husband of Dorothy J.
JOHN WILLIAM JACKSON. Born 1876. Son of Christopher & Ellen Grange. Married Annie Louisa Auton. JOHN HENRY JACKSON. Born 1883 Scotton. Died 1940. Son of John & Jane Eliz. Ake. JOHN JACKSON. Born 5 June 1883. Threshing machine driver. Unmarried in Kirkby Malzeard in 1939. JOHN JAMES JACKSON. Born 7 Feb 1895 Fingall. Died 1982. Son of John [Farmer] & Jane Ann Wrather. He married Beatrice Elder. on 29 April 1920 at Patrick Brompton church. See report and photo at bottom of this page. JOHN LISTER JACKSON. Bap. 10.12.1922. Died 1990. Son of Joseph Lister & Mary Jane Batty. Married Phyllis Finola Farquharson. JOHN JACKSON. Born 16 Sept.1929. Son of John James & Beatrice Elder. of High Spelderbanks. JONAH JACKSON. Born C. 1826. Died 26.9.1855. M.I. Son of Matthew the Publican & Mary . Brother of Elizabeth, William & Matthew. Jonah was a whitesmith. JONAH JACKSON. Bap. 23.9.1849 Kirkby Malzeard. Son of Jonah & Elizabeth of Grewelthorpe. Husband of Anabella H. of London. Family lived Ilkley 1891. JOSEPH JACKSON. Born C. 1809. Buried 26.4.1892.Master Joiner. Husband of Jane. Joseph Jackson of Grewelthorpe [Joiner] was summoned for not sending his grand daughter Annie aged 10yrs to school. He was ordered to send her to school. No fine. Ref. Knaresborough Post Nov. 1880. JOSEPH JACKSON. Born 1848 Kirklington Died 1926 in Nebraska USA. Son of George Jackson & Ann Ripley. Husband of Julia Alice Whisler. JOSEPH JACKSON. Born C. 1852. Bap.1.1.1860. Son of Joseph & Jane. A corn mill labourer in 1871. Living West Witton 1891. JOSEPH JACKSON. Born C.1853.Grewelthorpe. Woodman. Husband of Martha Moore. of Grewelthorpe. Married 7 Aug 1889 Ripon Reg. Office. [Ref. Knaresborough Post 1889]. They had 4 children. Living West Witton in 1891.a woodcutter. JOSEPH JACKSON. Born C. 1858 Whitehouses. Son of Christopher & Ellen Grange. Farmer. Married Annie Elizabeth Lofthouse. of Kexmoor in 1878. Emigrated to Australia in C1913. See Lofthouse page. JOSEPH JACKSON. Born 27.2.1892. Son of Joseph [The woodman]& Martha Moore. Started school 7.3.1898. In 1911 he was an apprentice Joiner. JOSEPH JACKSON. Bap. 17.6.1894. Grewelthorpe. Son of Charles & Faith Merrall. Fingerfield. Married April 1928. Husband of Ethel Thackray. of Otley formerly of Bramley Grange, Grewelthorpe. Wilfred Jackson. grooms brother was bestman. Living Westfield Farm Galphay in 1939. JOSEPH LISTER JACKSON. Born 22 June 1899 Fingall. Died 21 Jan 1982. Middlesborough. Son of John & Jane Eliz. Ake. Married 1920 to Mary Jane Batty. Jane Batty 1902 – 1967. and Joseph Lister Jackson. 1899-1982. JOSEPH HENRY JACKSON. Born 1930. Died 2006. Son of Joseph Lister & Mary Jane Batty. Married Evelyn Frances Owen. 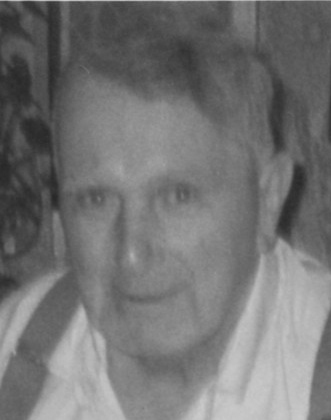 Joseph Henry Jackson 1930 – 2006. JOYCE JACKSON. Born 1926 died as infant. Dau of Joseph Lister & Mary Jane Batty. JUDITH JACKSON. Born C. 1747. Buried Kirkby Malzeard 20.1.1818. KATE JACKSON. Born C. 1855 Bradford. Dau of William [The Musician] & Mary Coultman. KATE JACKSON. Born 21.7.1880. Dau of William & Martha. Started school 10.5.1886. Left 1893. KATE JACKSON. Born C. 1881. Dau of Joseph & Martha. KATE JACKSON. Born C. 1880. In 1902 married William H. Brigham. Both aged 22 years. He was a farm labourer. LILY JACKSON. Born 5.11.1889.Bap.10.12.1889. Dau of Joseph & Martha. Started school 2.7.1894. Left 1898. Married 12.10.1911. LIZABETH JACKSON. Born C. 1847 Dau of John. Married on 19.12.1885 at Kirkby Malzeard church to William Atkinson. [b.1849] son of William Atkinson. LOUISA JACKSON. Born C.1877 Durham. dau of Jonah & Anabella. Living Ilkley 1891. MARGARET KENDALL JACKSON. Bap. 24.8.1845 Kirkby Malzeard. Dau of Thomas & Ellen of Galphay. married on 26.8.1865 at Kirkby Malzeard church to John Kitching. [b.1844] Bricklayer in Well. Son of John Kitching. Bricklayer. MARGARET JACKSON [Nee Lofthouse]. Born C. 1847. Wife of Henry the joiner. MARGARET JACKSON. Born C.1849 Masham. Dau of William [The Musician] & Mary Coultman. Living in Leyburn with her Mother & Grandfather in 1861. MARGARET ANN JACKSON. Born C.1900. Bap. 29.3.1914 Mickley. Buried Mickley 10.6.1939. Dau of Charles & Faith Merrall. Lived Westfield. MARGERY JACKSON. Born c.1792. Buried 14.7.1887. Kirkby Malzeard.Saddler’s wife in 1851. MARIA JACKSON. Born C. 1830.Killinghall. Dau of Margery. Maria was a Straw Bonnet maker in Grewelthorpe. Married John Buckle [b1825]. see Buckle page. MARIA JACKSON. Bap. 2.9.1855 Kirkby Malzeard. Dau of John & Ann of Azerley. MARIA CONSTANCE JACKSON. Born 1891 Fingall. Dau of John [Farmer] & Jane Ann Wrather. MARION JACKSON. Born C.1847 Masham. Dau of William [The Musician] & Mary Coultman. MARTHA JACKSON. Born C.1853 Grewelthorpe. Wife of William the joiner. MARTHA JACKSON [nee Moore]. Born 1853. Wife of Joseph. [Married C1888] Dau of Robert & Ellenor Moore. see Moore family page. MARY JACKSON. Married on 11.6.1710 at Kirkby Malzeard to George Houseman. MARY JACKSON. Bap 25.12.1787 Grewelthorpe. Dau of Thomas. MARY JACKSON. Born C. 1802 Bedale. Died 7.4.1866. Buried 11.4.1866. Wife of Matthew the Publican. MARY JACKSON [Nee Coultman.]. Born 1821 Leyburn. Dau of Richard Coultman. Innkeeper Leyburn. Married William Jackson [The Musician] in 1842. Had 8 children. 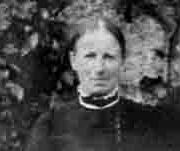 In 1861 she was living with her widowed Father at the Kings Head Inn, Leyburn. also with her daughter Margaret b.1849. MARY JACKSON [Nee ?]. Born C.1821 Kirkby Malzeard. Wife of Charles [Keeper of Hackfall] In 1901 living Masham[widow] with dau. Sarah & James Wilson. the innkeeper. MARY JACKSON. Born C. 1813. Kirkby Malzeard. Died 11.12.1906.M.I. Wife of Charles. A widow in 1891. Living with dau.Sarah & son in law James Wilson in Masham 1901. MARY ANN JACKSON. Born C. 1842. Dau of Charles & Mary. MARY JANE JACKSON. Bap. 24.5.1863 Kirkby Malzeard. Dau of Thomas [ the Publican.] & Ann. Married on 5.8.1884 at Kirkby Malzeard church to Charles Hall. Widower. A mason. Son of John Hall. also a Mason. MARY JACKSON. Born C. 1868 Crakehall. Wife of William the platelayer. Lived Ripon in 1901. MARY JACKSON. Born 1874. Dau of Christopher & Ellen Grange. Married Thomas Morgan. MATTHEW JACKSON. Born C. 1742. Died 7.10.1830. M.I. St Marys Church Masham. Gentleman of The Hutts, Grewelthorpe. 1822 Baines Directory. Married to Ann Lodge. in 1776. 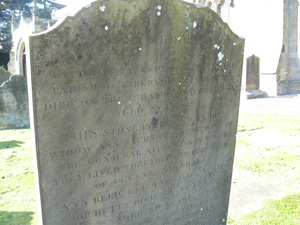 Inscription on headstone reads “ This stone erected by his widow Ann Jackson in testimony of the conjugal affection in which they lived together for the space of 53 years and a half.” Ann died 3.5.1835 age 80years. [born C1755]. See photo of grave at end. Also see letters about Ann & Matthew at top of page. MATTHEW JACKSON. Born C. 1798. Died 4.6.1855.M.I. Buried 8.6.1855. M.I. Publican. Husband of Mary. MATTHEW JACKSON. Born C. 1839. Died 25.10.1873. Buried 31.10.1873. M.I. Son of Matthew & Mary. MATTHEW JACKSON. Bap. 31.8.1862 Kirkby Malzeard. Son of Thomas & Ellen of Galphay. MAURICE JACKSON. Born & died 1929. Son of James & Annie Batty. MAY JACKSON. Born C.1901. Littlethorpe. Dau of Fred & Alice. Lived Ripon in 1901. NANCY JACKSON. Born C.1841. Sawley. Buried 20.11.1871. Wife of William the joiner. NANCY JACKSON. Born C.1900. Sharow. Son of William & Mary. Lived Ripon in 1901. PETER JACKSON. Born 14 March 1926. Son of John James & Beatrice Elder. of High Spelderbanks. RALPH C. JACKSON. Born C.1841. Son of Jonah & Elizabeth. Living Exelby Leeming in 1891. RAYMOND DEATON JACKSON. Born 1932, died 07 Sep 2009, son of Joseph Lister Jackson 1889 – 1982. “Raymond was given the second name of “Deaton” as a tribute to Nurse DEATON, who was the midwife” – Arnold L. Jackson. REGINALD BRIAN JACKSON. 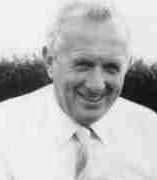 b 1941, died 28 Nov 2011, Easingwold, Son of Joseph Lister Jackson 1889 – 1982 & Mary Jane Batty of Carlsmoor & Healey. RENEE MAY JACKSON. 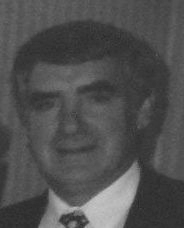 b.17 Jun 1927, Leyburn Area, Died 30 Mar 2017. Dau of Joseph Lister Jackson & Mary Jane Batty. Married (“Hal”) Albert Hugh Croft. 17 June 1948. ROBERT JACKSON. Made will 17.3.1837. Willproved 20.5.1800. ROBERT A. JACKSON. bORN c. 1886. Ilkley. Son of Jonah & Anabella. Living Ilkley 1891. RUBY JACKSON. Born 13.4.1894. Dau of Joseph [the woodfeller] & Martha Moore.. Started school 21.4.1899. SALLY JACKSON. Born 1821. Grewelthorpe. Died an infant. Buried 9.4.1821. Ref. Kirkby Malzeard Par. Reg. SARAH JACKSON. Born C1844 Masham. Dau of William [the musician] & Mary Coultman. She was a governess in Bradford in 1861. SARAH JACKSON. Bap. 11.6.1854. Dau of Charles & Mary. Housemaid at parsonage Grewelthorpe in 1871. Married James Wilson. on 11.10.1888. innkeeper at Bruce Arms, Masham. Mother of Thomas E.Wilson. [b.1890] Masham. SARAH JACKSON. Born 1863. Died 1865. Dau of Christopher & Ellen Grange. SARAH JANE JACKSON. Born 23.9.1873. Bap.29.9.1873. Dau of William & Ann of Hackfall Cottage. Started school 13.11.1876.Left 1882. THOMAS JACKSON. Lived Ellingstring. Married Ann Jeff. in 1714. THOMAS JACKSON. Born C1719. Died C1800 Masham. Son of Thomas & Ann Jeff. See letter from R. Jackson. THOMAS JACKSON. Bap. 22.12.1773 Grewelthorpe. Buried 20.10.1854 Kirkby Mal. [Ref. Par.Reg].Son of Christopher of Bramley Grange, Grewelthorpe. THOMAS JACKSON. Bap. 26.3.1775 Grewelthorpe. Son of Thomas. THOMAS JACKSON. In the 1782 Grewelthorpe Enclosure award. Had land at Labour Hill, Low Moor. 1acre,2 roods,8 perch. THOMAS JACKSON. Bap.14.7.1789 Grewelthorpe. Son of William of Hackfall, Grewelthorpe. THOMAS JACKSON. Victualler of The Wheel, Grewelthorpe.1822 Baines Directory. THOMAS JACKSON. Buried 13.6.1803 Grewelthorpe. Dont know parentage. THOMAS JACKSON. Born C. 1826 Grewelthorpe. Son of Thomas [The saddler] Married on 12.10.1850 Kirkby Malzeard to Ann Beckwith. Dau of Christopher Beckwith. Living Kirkby Malzeard in 1891. Innkeeper. Had dau.Betsy & Mary Jane. THOMAS JACKSON. Bap. 6.3.1846 Kirkby Malzeard. Son of Joseph [The Joiner] & Jane of Grewelthorpe. THOMAS JACKSON. Bap. 29.8.1847 Kirkby Malzeard. Son of John & Ann of Azerley. THOMAS JACKSON. Bap. 12.8.1855 Kirkby Malzeard. son of Thomas & Ellen of Bull Ings. THOMAS JACKSON. Bap. 23.6.1861 Kirkby Malzeard. Son of Thomas & Ann of Kirkby Malzeard. THOMAS JACKSON. Born 4 Dec. 1874. Married to Minnie [born 1871]. Living Rose Cottage Low Laithe in 1939. THOMAS HERBERT JACKSON. Born 16.2.1880. Died 24.4.1948. Buried 27.4.1948 Grewelthorpe churchyard. Son of Henry. Started school 4.5.1885. Left 1893. Married Catherine May Brown. 23.5.1914. Groom & Handyman at The Hutts, Grewelthorpe. See Bert’s account of Grewelthorpe cricket matches in the history section of this site. THOMAS JACKSON. Born 7 June 1893. Married to Ada [born 1894]. Smallholder at High Ellington in 1939. THOMAS JACKSON. Born 14.7.1911. Started school 12.4.1920. Left district 1921. URSULA JACKSON. Bap. 30.4.1781 Grewelthorpe. Dau of Thomas. VIOLETTA A.JACKSON. Born 13 July 1874. Living Rose Cottage in 1939. with Eliz. Coldbeck. VIOLET JACKSON. Born 20.1.1902.Dau of Fred. Started school 21.8.1906. Family moved to Northallerton Sept. 1906. WHEATLEY JACKSON. Second son of William the miller of Masham. Married Laurentia Buckle of Great Ouseburn. 24 April 1877. in Ripon Cathedral. [Ref. York Herald 1877]. WILFRED BRYAN JACKSON. Born C. 1897. Bap. 29.3.1914. Mickley. Son of Charles & Faith. 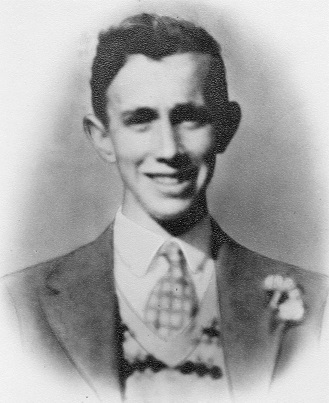 Bestman for his brother Joseph’s wedding in 1928. WILLIAM JACKSON. Blacksmith Grewelthorpe. Made will 15.4.1707. Will proved 10.12.1707. WILLIAM JACKSON. Born C. 1758 Ilton. Son of Thomas. Lived Mowbray Hall, Grewelthorpe. Buried 8.10.1837 Kirkby Malzeard. WILLIAM JACKSON. Bap. 27.5.1792 Grewelthorpe. Son of Thomas. WILLIAM JACKSON. Victualler of Kings Head, Grewelthorpe. Baines Directory 1822. made a will in 17.3.1837. Proved 20.3.1838. WILLIAM JACKSON. Born C1812 Grewelthorpe. Buried 17.5.1813 Kirkby Malzeard. WILLIAM JACKSON. Born 9.1.1815 West Tanfield. Son of John [the Miller] of West Tanfield. Died 15.4.1866 Bradford. Married in 1842 to Mary Coultman. of Leyburn. Had 2 sons b.1845 & 1853. William was a renowned musician. See notes and photo at end. WILLIAM JACKSON. Born C. 1824. Son of Matthew & Mary the Publican. Brother of Elizabeth, Jonah & Matthew. Wm was a Master House Painter in 1851.In 1861 he was also a publican. In 1881 husband of Dorothy from Tanfield. WILLIAM JACKSON. Born C.1830 Grewelthorpe. Joiner. Husband of Martha. WILLIAM JACKSON. Born C. 1833. Kirkby Malzeard. Son of Margery. WILLIAM JACKSON. Born C. 1840. Son of Jonah & Elizabeth. WILLIAM JACKSON. Born C.1840. Son of Joseph & Jane. Husband of Nancy Wade. Banns read Nov/Dec 1865. Joiner & Farmer. Report on death of a William Jackson at end. WILLIAM JACKSON. Born C. 1845. Died 18.8.1872. Buried 20.8.1872. M.I. son of Charles & Mary. Painters Apprentice. Married to Isabel from Skipton. WILLIAM JACKSON. Born 1845 Kirklington. Son of George Jackson & Ann Ripley. WILLIAM JACKSON. Born C.1852 Kirkby Malzeard. Son of Thomas & Ann Beckwith. WILLIAM JACKSON. Born C.1853 Bradford. Son of William [The Musician] & Mary Coultman. Living Bradford 1861. WILLIAM HENRY JACKSON. Born 24.1.1865. Bap 15.9.1867. Son of William & Ann of Hackfall Cottage. Started school 2.1.1877. Left 1879. WILLIAM JACKSON. Born C.1869 Grewelthorpe. Husband of Mary of Crakehall. A Platelayer on railway in Ripon 1901. Living 17 Industrial Terrace. WILLIAM JACKSON [SENIOR]. 1890 Masham Deputy registrar for births & deaths. Also the Miller at Masham Mill. Ref. Bulmers Directory. WILLIAM JACKSON [JUNIOR]. 1890 Masham Registrar for births & deaths. Ref. Bulmers Directory. WINIFRED JACKSON. Born C. 1882. Ilkley. Dau of Jonah & Anabella. Living Ilkley 1891. Death of William Jackson Born 1843 Died 1886. 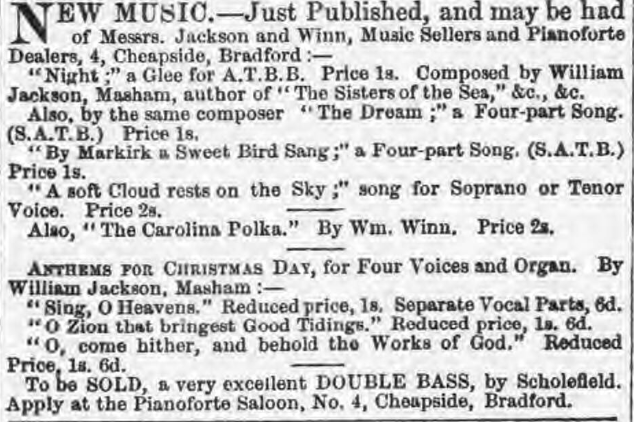 Report in York Herald 31.12 1886. On Wednesday the dead body of William Jackson, 43, of Grewelthorpe, joiner, was found in the river Ure. between Mickley and Tanfleld. ( Deceased had been missing since Christmass Eve, when be left home to go to Mickley, which place he never reached A Search was made, along the river bank, and Jackson’s hat and a cheque were first found, and afterwards, on dragging the river, his dead body. It is thought that the deceased missed his way and fell into the water. OBITUARY For Annie Jackson 1868-1937. As reported in Ripon Gazette 11.2.1937. The death has occurred of Annie Jackson. at The Grange, Kirkby Malzeard aged 69. She was valued and faithful servant of Miss Bosanquet who she lived with for 16years. She had a quiet and kindly disposition and she worshipped at the Ebenezer Chapel. She was a native of Darlington. OBITUARY for Bert Jackson. 1880-1948. As reported in Ripon Gazette dated 13.5.1948. Brigadier J.C.D.A.Dalton of 913 North Livingstone Street, Arlington, Virginia USA writes. Many of your readers will have heard with the deepest regret of the death some days ago of Mr. Jackson of The Hutts Cottages, Grewelthorpe. This sad news prompts me to write you this humble tribute to the memory of a man I knew literally all my life and whose warm friendship I am proud to have won. When in 1908 my Father acquired his Yorkshire property, Bert Jackson. was engaged as coachman and from then onwards for 40 years “Jackson” was part and parcel of the family. It would have been as strange for Jackson not to have been there, as it would have been if the bluebells failed to appear in the Gill or the blackbirds ceased their song. He grew and developed with the times and it was a proud day for all of us when he learned to drive the elegant new motor car in 1912 – a museum piece to excite astonishment in these days of sleek streamlined motors. He was gifted in many ways and took a leading part in all the activities of village life and will long be remembered for his undoubted talent for acting and mimicry which always “brought the house down” at entertainments. Nor was his circle limited to the village. In those days my Father was a busy man in local affairs and also enjoyed much hospitality from his neighbours. Jackson always drove him on these occasions and visits. The Great War took him for more than 2 years, driving Albion lorries loaded with ammunition through the mud and worse of Flanders. Those were anxious days for all of us, but particularly for his wife, the former Miss May Brown to whom he had been most happily married since 1914. There followed the inter-war period of 20 years during which time Jackson became more and more identified with The Hutts whose spell was cast on him, and he came to love the place dearly. Indeed he, himself took an ever increasing share in the care of the woods, where thousands of fine healthy young trees are now living memorial to his work. Through all this time he en-nobled and dignified the word “service” by his devotion to our family, who, in return, trusted and loved him. he was a man of deep and tender feelings, and of strong opinions which he would often voice in a downright fashion. The second War brought its inevitable change in his way of life. Gone were the carefree days of motoring, and austerity clamped down on the simplest acts and pleasures. But there was little austerity in Jacksons character. He kept his humour alive and his wit polished. I shall not forget his first words to me at Ripon station when I had 4 days leave following the evacuation from Dunkirk, “You’ve been playing at it all your life, now you’ve got it.” In these latter days also he assumed greater responsibilty in church life, in which he and his wife had always been prominent . There is a temptation as one grows older to conclude that the best lies behind us, and in particular that men and women we have known will not be equalled or excelled by others in the future. I do not think this is true, neither would I wish it were so. Rather do I hope that the rising generation will profit and be inspired by the good qualities of those they have known in their youth and attempt to rise themselves to still greater heights. I shall be a happy Father if my son measures up to the standards of service, loyalty and integrity set by Bert Jackson. Arnold Leslie Jackson. Born 1920. Photo 2008. Grave of Matthew Jackson the Publican and his wife Mary and their sons Jonah & Matthew. In Grewelthorpe churchyard. 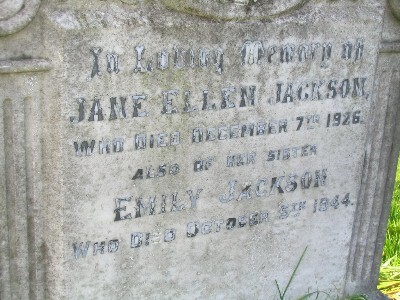 Also grave of Jane & Emily Jackson also in Grewelthorpe churchyard. William learnt to play the fife as a boy from his Father. He went to school in Tanfield and from there to a boarding school in Pateley Bridge. Where he learnt to play the piano from Mr Wilson of Pateley Bridge. After leaving school he developed a skill in repairing barrel organs and progressed to making and selling organs. In 1828 he went to the Grand Music festival in York. He and his Mother walked from Tanfield to York and back again. He was inspired by the music. He began to write his own pieces. In 1829 at age 14 he became the conductor of a newly formed military band at Masham. He would walk to practice sessions twice a week from Tanfield. In 1832 a new church pipe organ was needed in Masham. This was provided by Mr Danby He paid for William to have organ lessons from the organist in Ripon Cathedral and then he appointed William as organist for Masham Church at £30 per annum. William took in pupils to learn music. In 1835 he applied for a post in Doncaster Church but he wasn’t appointed. In 1839 a Mr Ascough a Tallow Chandler in Masham offered William a partnership in his business. William accepted and moved to Masham. Also in this year he published his first musical piece an anthem called “For joy let fertile valleys sing”. In 1840 he entered a competition for the Huddersfield Glee Club. He won the 10 guineas first prize. His piece was called “Sisters of the Sea”. In 1841 he wrote a song of thanksgiving, a setting of the 103rd psalm. He dedicated it to the Huddersfield Choral Society. In 1842 he got married to Mary Coultman from Leyburn. He had 8 children, Charles his eldest son born 1845 sadly died in 1861 from diphtheria. His second son William was born 1853. John Henry born 1857. The other children were girls. In 1852 he took over the music business of Mr Hopkinson in Cheapside in Bradford. The family moved to Bradford. he became the organist at St. John’s Church and conductor of the Bradford Old Choral Society. In 1858 the Society travelled to London and performed before Queen Victoria and other Royal guests. The Queen spoke to William and they were given supper in the palace. This was the first of a series of concerts in London. In the 1861 Bradford census William was described as a Teacher of music, a music seller, a pianoforte dealer and a music seller. He was living with his nephew Richard Moore b.1840. Aldborough. A pinoforte tuner. and 5 of his children. William died in Bradford in 1866. He left a widow and 9 children. Report in Yorkshire Post 1928. A Memorial case in memory of the late William Jackson, a native of Masham, who became well known as the Miller Musician, was presented to the village in the Town Hall Masham last evening. Jackson was born on January 9th 1815 the son of Mr & Mrs John Jackson. He spent the first part of his life at work in his Father’s flour mill, but early on he showed an aptitude for music, and at the age of 17 he became organist at Masham Parish Church. In 1852 he went to Bradford where is partnership with Mr. William Winn he conducted a successful music business. He was the 1st conductor of the Bradford Festival Choral Society. Jackson composed several oratorios- among them “Israel in Babylon” and “Isaiah” – and wrote Psalm tunes, chants and other church music. He wrote too several notable glees, one of which “Sisters by the Sea” was composed on the Cowerby village green. He died on April 15 1866. The Jackson family is still represented in Masham. Mr Edmund Jackson is a cousin and Madam Dora Jackson who is well known in Leeds is also a cousin. The memorial case stands in the large entrance to Masham Town Hall and is filled with copies of his works and with bills of some of the concerts he gave in Bedale, Wensleydale and Masham Districts between 1856 and 1865. A monument was erected to Mr Jackson in Masham Church Yard some time ago by members of the Bradford Choral Society. Dr. Sutcliffe-Smith of Harrogate presented the key of the case to Mr. Imeson the chairman of Masham Urban Council and member of the North Riding County Council and Mr Imeson unlocked it. Among the speakers was Mr William Jackson Byles of London a grandson of the musician. Report in Yorkshire Post & Leeds Intelligencer 7 October 1871. FREEHOLD DWELLING-HOUSE at Grewelthorpe, with carpenter’s shop, cowhouse, and other outbuildings, with garden, yard, and appurtenances, containing 20P., more less, in the occupation of William Jackson, jun. yearly tenant from 6th April. Lot 3. A FIELD grass LAND Low Moor, near Grewelthorpe, partly freehold and partly leasehold, containing the whole 1Acre. lRood 3Perch, more or less, also in the occupation Mr William Jackson, jun., yearly tenant from 6th ApriL The lots may viewed on application to the respective tenants, and printed particulars, with conditions, may be had gratis of Messrs Williamson, Hill, & Co., 10, Great James Street, Bedford Row, London, W.C., Solicitors, of Mr Thomas Scott of Grantley, near Ripon, the Queen’s Head Inn aforesaid, and of the Auctioneer, Mr Francis Smith, Ripon. Private Fred Jackson. 1887 -1916. Mr Jackson was the son of J.Jackson of Speldersbank Masham. 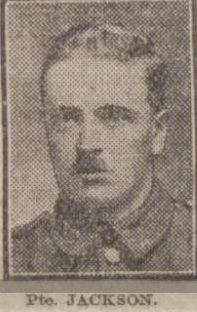 Reported Killed in action in July 1916. See report below. Thanks to Jane Simpson of the AONB WW1 Project for Nidderdale group who sent us the following details re. John James Jackson and his family. [April 2018]. John James Jackson. was born on 7th February 1895 at Fingall near Masham. Parish of Constable Burton. The 2nd son of John Jackson [Farmer] and Jane Ann Wrather. of High Spelderbanks, Masham. His Father John was born at Ellington near Masham where his Grandfather Leonard Jackson. traded as a Carpenter. James Wrather. farmed at Fearby. They had 7 children baptised at Fingall Church. Fred [1887 Pictured above]. John James . Mary Annie . Maria Constance . Eva Caroline . Leonard Wrather  & Alfred[ 1901]. The children probably all attended Constable Burton school as Father was Game Keeper on the estate there. When John James was called up he was rejected on health grounds, so he took over his Brother Fred’s role as an Insurance Agent. But on 3rd December 1915 he was attested and put into the Army Reserve. 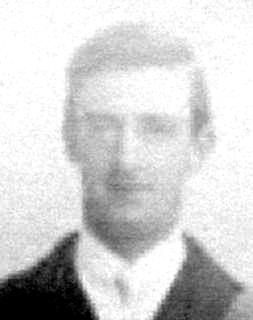 He joined up at Richmond on 27th June 1916, stating his age as 20 yrs and 9 months, working as an Insurance Agent. He served as a Private [Service No.96975] in the 4th Battalion of Durham Light Infantry. According to the Durham Light Infantry history the 4th Batt. remained at Seaham for the duration of the war. It was classed as an Extra Reserve Battalion and used as a source of replacement for the regular battalions. So John would have been sent to the Front. He was reported Missing in Action in July 1916. but was obviously found later. His 2 brothers also served. Fred Jackson in the 15th Batt. [Leeds Pals] West Yorkshire Prince of Wales Regiment and he was killed on the Somme on 1st July 1916. He is buried in Serre Road, No.1 Cemetery in France. Leonard Wrather Jackson as a Gunner in the Royal Garrison Artillery, but thankfully he returned. Following the war John James Jackson was married at Patrick Brompton Church on 29 April 1920. John James Jackson  Farmer. son of John [Farmer] of Masham. and Beatrice Elder. She was the dau of Thomas Sidgewick Elder a Licensed Victualler & his wife Hannah Cornish Elder. At the time they were running the public house in Patrick Brompton. Probably “The Green Tree.” ? They had previously run the “Fox & Hounds” in West Burton. In the 1939 register it lists John & Beatrice farming at High Spelderbanks rearing sheep, dairy & corn. It appears they may have had at least 5 children. This is still being researched. John James died in 1982 aged 87 and Beatrice died in 1994 aged 96. Both deaths registered in the Darlington District. If you can add anything to this page please contact the site. Last update 2018.